Selenite aids clear thinking, concentration, and increases all levels of awareness. Selenite helps to access past lives. The Selenite pictured will be the Selenite you will receive. 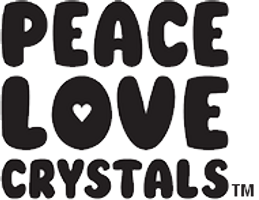 Plus a free copy of our "Crystals and Minerals Metaphysical Properties Guide" by PEACE LOVE CRYSTALS*. Selenite is a crystallized form of gypsum. Chemically, it is a hydrous calcium sulfate.